Directed by Baltasar KormÃ¡kur. Produced by Tim Bevan, Eric Fellner, Nicky Kentish Barnes, Tyler Thompson, and Brian Oliver. Written by William Nicholson and Simon Beaufoy. Release date: September 18, 2015 (IMAX), September 25, 2015 (wide). If there's one thing that I expect from a Baltasar KormÃ¡kur-directed movie, it's fun. That's what I've come to expect from his last two English-language releases, Contraband and 2 Guns, so when I heard he was directing a disaster movie about a climb of Everest, I was ecstatic. As it turns out, my expectations were misplaced, as Everest is anything but fun. It's not really "bad," either - it's just that it doesn't contain much content that could be construed as fun. 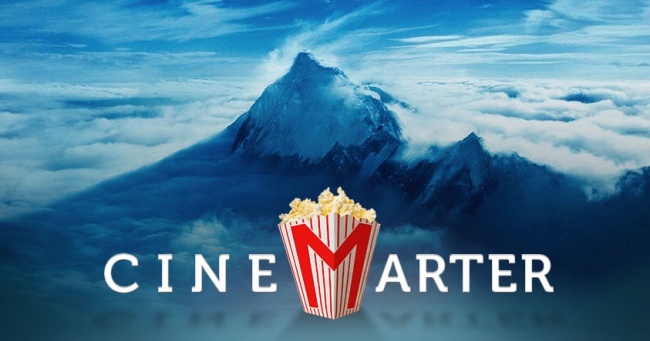 The film, which reminds us before it begins that it's based on a true story, is set in 1996, shortly after the commercial Everest climbing industry started to take off. The idea is that professional climbers would get paid a great deal of money to take amateur hikers on an excursion up to the mountain's summit, and then back down. As anyone who followed the story in 1996 knows, it didn't exactly go swimmingly. 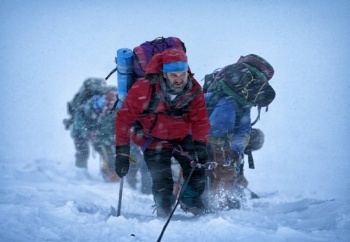 Everest follows a couple of groups and several characters, detailing their training, climb, and then fight for survival once the disaster strikes - which in this case is severely inclement weather and a distinct lack of oxygen. Our main group is led by Rob (Jason Clarke). Another one is led by Scott (Jake Gyllenhaal). The only two clients who make much of an impression are Beck (Josh Brolin) and Doug (John Hawkes). Outside of these four characters, the cast is largely interchangeable. They spend so much time in snow gear anyway that it's sometimes impossible to tell who's who at any given moment; you have to try to remember the colors of their jackets, and since there are maybe three different colors and a dozen characters, you can probably figure out why that doesn't exactly work. Outside of a couple of the performances, you can't even notice the acting. Gyllenhaal, Clarke, and Brolin are fine, Hawkes is great, and everyone else is just there. When watching Everest, I tried to think of what the best mountain climbing movie was. Outside of Touching the Void, I struggled. (Cliffhanger is not an acceptable response.) Maybe it's because so many of the scenes wind up being the same - people, bundled up, walking on a slight incline with blowing snow partially obscuring the view - or maybe it's a genre that just doesn't have a ton of good movies within it.